Berger set the pace yesterday with 59s so let's see what Coleman can do to get close to that! The American, now in his 2nd season is ready to race! 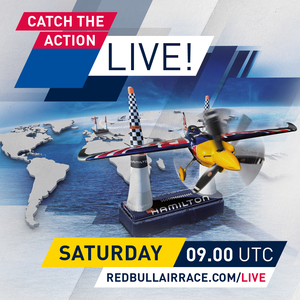 Great thank you for the Red Bull Air Race Team for that we're able to watch qualifications and races of the Challenger Cup! Finally, new season!I've missed RBAR! That's not going to be "America first"! 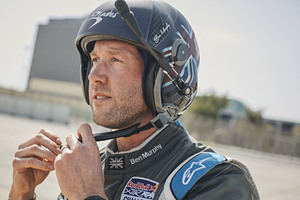 Ryfa: "The VTM and Gates 7 and 14 are the key, but you have to fly really tight in the chicane." hi, when will start masterclass CET? Please with start Master Class CET? Good afternoon RR/ RBwriter & fans around the planet. He's through the chicane and that was a strong pull through the VTM! He's got a good line there and he's green on the split times after the first lap! That's a wider line around to gate 10 and that could be a good tactic to get into the final part of the track! But Race Director Steve Jones gives him the OK from the tower – it's 01:02.520 and he moves clear into the lead by 2s! He's the one to watch and he's learning his craft with real finesse! And it's green and green again – and there it is! Easy work for the German, clean and straight into first place with 1:00.561! Hi Flo, cool run, very fast! Coleman: "I haven't been fast all week and that's about as good as I could do, clean with no penalties. Hopefully we can take some points and move on to San Diego. 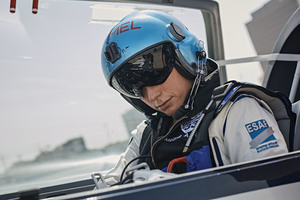 It's all on me – I felt like I flew pretty well but it wasn't fast."